When Stolyarov said his political party had experienced “resistance from Russia”, Juncker urged him to go forward and maintain good ties with Putin’s government. “And with Russia, we are not asking to break your relations with Russia. It’s important that you will have a meeting with Vladimir Putin, I think on the 14th of May or something like that, that’s good. It’s good. He’s a personal friend of mine so I can talk with him whenever it’s needed,” Juncker said. 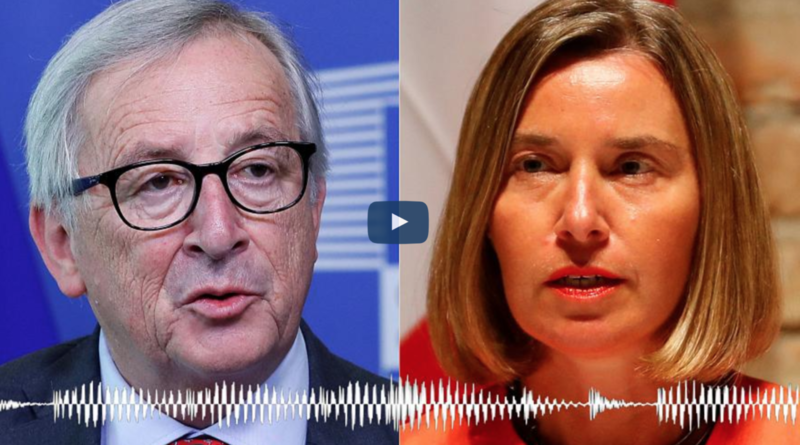 The two also talked about Juncker’s love for Armenian music, and Stolyarov said a concert was being played by rock band System of a Down, whose lead singer is Armenian-American, as the band’s recorded track is heard in the background. Stolyarov ended the conversation by saying that “team Kardashian” would like to work in the ministry of foreign affairs. “Oh yeah, that’s good,” said Juncker. Continue reading the full story on Euronews. ← Are ‘booth babes’ no more in the age of #MeToo?